On Saturday, March 23, the Discovery Channel will unveil the atrial fibrillation documentary, “A Heartbeat Away From Stroke”. Watch it live at 8AM ET/PT on March 23, March 30, or April 6. And please encourage family and friends to watch it, too. You could save a life by doing so. 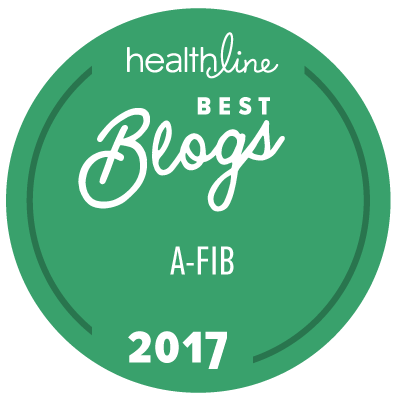 StopAfib.org was thrilled to collaborate with Discovery Channel as well as our friends at the Heart Rhythm Society, WomenHeart, and the National Stroke Association on this documentary. The cost of developing the documentary was underwritten by Boehringer Ingelheim, but the content was developed solely and independently by the Discovery Channel. We were thrilled to have helped find patients for the documentary, including our friend, Toni Miller from San Antonio. In addition, you’ll see interviews with many of our physician friends, such as Dr. Hugh Calkins of Johns Hopkins, who is a member of our Global Medical Advisory Board, Dr. Elaine Hylek of Boston University, Dr. Ralph Sacco of the University of Miami, Dr. JoAnne Foody of Brigham & Women’s Hospital, and Dr. Marcus Wharton of the Medical University of South Carolina with whom we collaborated on the Barry Manilow Briefing for Congress. This program is also available to watch online at DiscoveryChannelPatientEducation.com and will be available on DVD shortly thereafter. Please share this information on social media and with family and friends. Let us know what you think about the documentary on our StopAfib discussion forum.